While metal roofing systems is a popular choice for pitched roofs, it can also be used for flat roofing applications. Flat Roofers Toronto offers expert installation, replacement and repair for all types of flat roofing systems including structural metal roofing. Having been in the business for over two decades, we have the experience, dedication and expertise to get the job done right. As local Toronto flat roofers we are committed to delivering premium roofing service that you can trust. Our projects can be found through our the city as well as surrounding areas including Newmarket, Ajax, Pickering, Etobicoke, Aurora, Richmond Hill, Vaughan, North York, Mississauga, Brampton, Markham, Scarborough and Thornhill. Your search for a trusted Greater Toronto roofer, ends here. Get in touch with us and we will be happy to assist you! A structural metal panel, also known as standing seam, has a raised portion where two panels meet and interlock. It is ideal for low slope roofs because they have a natural water barrier or hydrostatic characteristics. They are designed to repel water at the joints and laps while sealants protect seams. Because of its basic architecture, metal roofing has enhanced weather resistance, including wind, rain and snow. It is a flexible material that is not easily affected by thermal movement, meaning it can handle extreme heat and UV rays as well as withstand freezing temperatures without being damaged. It is also known as a “cool roof” since it is able to keep solar temperatures down. Standing seams can withstand elements including algae, mold and mildew. They come in a variety of colors and sizes that can complement any architectural design from traditional to modern design. Metal roofing systems are also eco-friendly and sustainable since it is made from recycled materials as well as being fully recyclable. 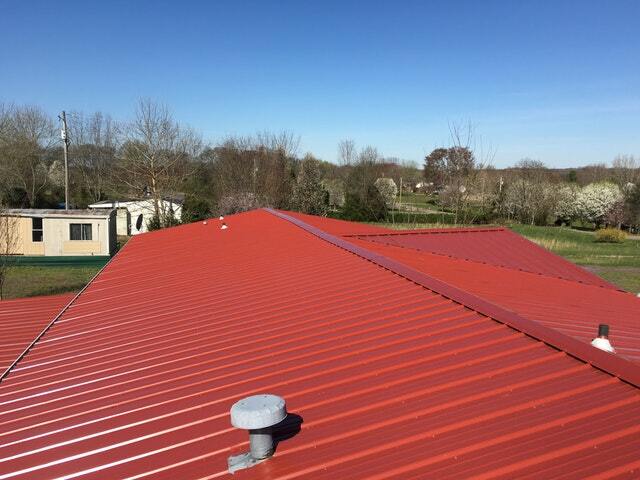 Lastly, metal roofing is highly durable and have low maintenance. They are highly resistant to impact damage, they do not rust or fade. That means you can save money on the upkeep and repairs during the life of the roof. In fact, metal is the most maintenance-free roofing material on the market today. A properly installed metal roofing or standing seam can last up to 50 years, much longer that other flat roofing systems. Flat Roofers Toronto uses only the high-grade commercial and residential structural panel systems from reputable manufacturers. We buy our materials wholesale so we can pass the savings on to our customers without sacrificing style and quality. We stand behind our work and as an added protection for our clients, we also offer our own installation and repair warranty apart from that of the manufacturers. With Flat Roofers Toronto, you can be confident that you are getting a roof that is built to weather storms and stand the test of time. You can count on us to provide quality roofing services at fair and honest prices. Feel free to contact us at 647-560-0376 or send us a message through the contact form on this page. Our representatives will be glad to assist you find the best roofing system for your home.